U.S. Cellular complaints number & email. Get verified information about U.S. Cellular complaints email & Phone number. As part of its customer contact facilities, U.S. Cellular has a customer complaints line on 1 (888) 944-9400 should you wish to discuss problems with your service. Full contact facilities covering all aspects of your service from the company are available by phone, email, live chat and postal correspondence. U.S. Cellular provide very comprehensive help, support and complaints handling through the ‘Contact us’section of their website including a complaints number on 1 (888) 944-9400 Lines are open on 7 a.m. – 10 p.m. (7 a.m. – 9 p.m. PT) daily. United States Cellular Corporation, doing business as U.S. Cellular. 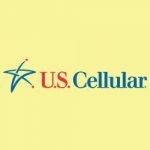 U.S. Cellular is the fifth-largest full-service wireless carrier in the United States, providing national network coverage and industry-leading innovations designed to elevate the customer experience. U.S. Cellular was formed in 1983 as a subsidiary of Telephone and Data Systems (TDS), Inc., which still owns an 84 percent stake. Hopefully, We helped you to get some genuine records for U.S. Cellular Complaint information. Use below complaint form to discuss problems you have had with U.S. Cellular, or how they have handled your complaints. Initial complaints should be directed to U.S. Cellular directly. You can find complaint contact details for U.S. Cellular above.